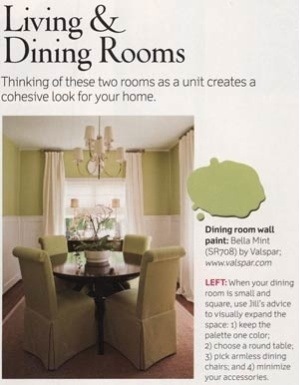 My wife was browsing through the July issue of Southern Living and a group of parsons chairs in one of the articles caught her eye. They looked almost identical to the chairs we make at Carrington Court. Now, there are a lot of manufacturers that make parsons chairs, but there are always subtle differences from company to company. So we looked in the back in the sources section and to our surprise--they are our chairs. This has happened in the past in other magazines, but it is always a nice surprise to have something you made featured. The designer Jill Boothby did an awesome job and she has a beautiful house. She also has a lot of great tips. It's good to know that the chairs are going to be used day-to-day and not just for a one time photo shoot. Check out the article (31 Style Secrets from a Design Pro) starting on page 51. When the July issue shows up on the Southern Living website, I'll post a link.